Cover Flip PU Leather Wallet Case for iPhone 6 Only $8.99 Plus FREE Shipping! You are here: Home / Great Deals / Cover Flip PU Leather Wallet Case for iPhone 6 Only $8.99 Plus FREE Shipping! Save some pocket space and make your screen and screen protector last long with this iPhone 6 wallet case! 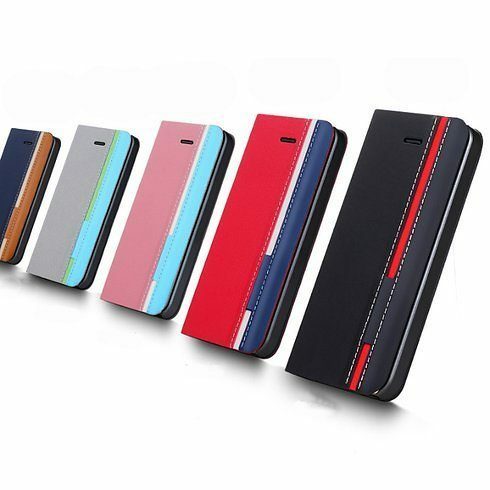 Available in 5 color combos, get this Cover Flip PU Leather Wallet Case for iPhone 6 for Only $8.99 Plus FREE Shipping!